When I was growing up, I really enjoyed learning by experimenting with all kinds of things. 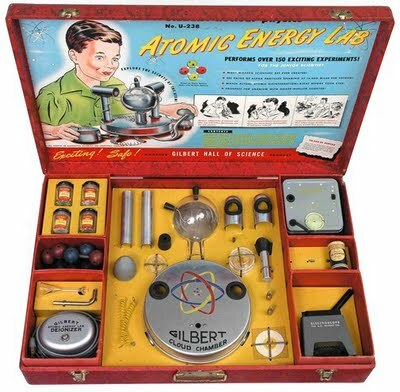 I also learnt a lot from various educational science kits that sympathetic parents bought, probably trying to facilitate my interests (or hoping to contain the interests on the safe side of science and technology). 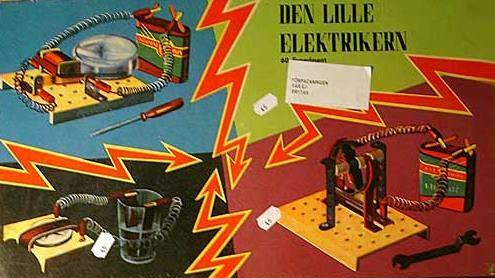 There were all kinds of exciting kits, ranging from The Little Electrician, to the Chemistry kit, to the Nuclear Energy exploration kit…. In addition to this, it was really fun to combine the kits with Lego, Meccano and bits and pieces from broken things found in the basement. Back in the 1960s, it was also possible, as a kid, to walk in to the local pharmacy and buy all kinds of interesting stuff (e.g. HCL, HNO3, H2SO4, NH3, more or less the whole chemical alphabet….). 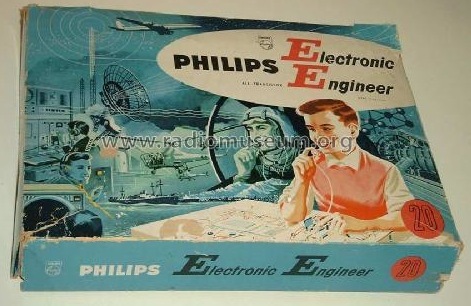 You could also get a good variety of electronic components in all radio shops. Later in life, I have always tried to choose stuff with open-ended educational value when buying (or making!) birthday gifts to young people. Sadly, the possibility to send anything interesting abroad by post has recently been made almost impossible. 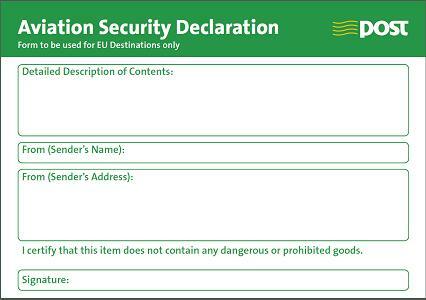 The Irish postal service An Post now demand that you fill out an Aviation Security Declaration when sending a larger letter or small parcel. As far as I have googled this, it’s a fairly recent thing (February 2012?). Perhaps it’s the UK that have forced Ireland into this, as most of the stuff posted in Ireland with destinations in Europe pass through the UK, and with the Olympics and other silly antics around the corner, they are really paranoid about everything. This leaves me with the only option, to post the most dangerous of all things: books. Books may contain ideas that may change the world.